I like that we’ve got a good tough opposition in an environment where it’s tough to win at. CASEY Demons’ VFL campaign kicks off this week, as the red and blue are set to face Box Hill Hawks in a Grand Final rematch on Sunday. But it’s just another week for senior coach Jade Rawlings who is excited to see his side showcase their pre-season’s work. “We’ve been able to have a good summer together and compile three practice matches against good opposition to have us well conditioned and ready for a season of footy,” Rawlings told Melbourne Media. The Demons will be travelling to Box Hill City Oval for their first game of 2019, but the challenge doesn’t faze Rawlings. “I like away games at the start of the year,” Rawlings said. “It doesn’t really matter where you play in relation to how you want to play as a team. “I like that we’ve got a good tough opposition in an environment where it’s tough to win at. “We always have a good clash with Box Hill and we have a lot of respect for them as a club. 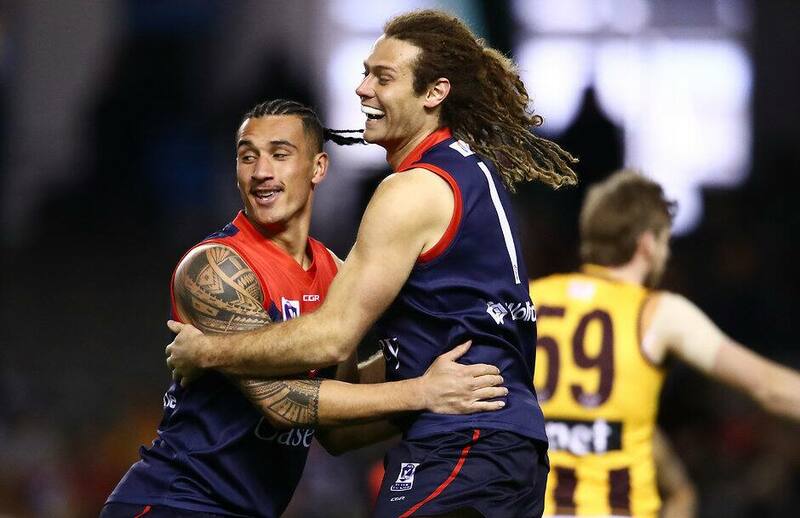 After a strong 2018 season, the Demons fell 10 points short of premiership glory against the Hawks last year, but Rawlings said that won’t be used as motivation at all this weekend. “It’s a non-factor for me,” he said. “There’s been so many changes, especially in the VFL, to what was relevant last year and what the form line was. “It’s completely irrelevant this year, so you base it more on their method of play and who their players are, and basically start again. One of the major obstacles Casey, and other VFL affiliates, face, is blending the AFL and VFL listed players together smoothly. With limited opportunities to get to know each other’s games, it’s a tough ask to get the players functioning well together on the field. But this was one of the Demons’ biggest strengths last season and a major focus again in 2019. “It’s always challenging when you have players who don’t know each other personally and ask them to go into battle and compete together as teammates,” Rawlings said. “We try to fast track that as much as we possibly can, and we’ve had some really good interaction between the Casey and Melbourne lists at various times with some training sessions. And Rawlings said the boys will have a chance to prepare for the Round 1 clash as a group on Saturday morning. “We’ll be having a session on Saturday with the full group together, so hopefully we get a good result on Friday night, then we’ll have our AFL and VFL listed guys training on Saturday,” he said. For some young Demons, playing VFL footy alongside AFL quality players is a great opportunity to learn and develop, with a range of kids expected to get that chance this year. “Over the course of the season we expect to have a pretty high rotation of our 23rd player which is a great initiative by the VFL that allows guys aged under 21 to play four games,” Rawlings said. Casey has also added a couple of senior players to its list for 2019, but Rawlings said a major focus over the off-season was to keep things consistent. “Our team will have a lot of likeness to it from last year,” he said. “The biggest recruiting strategy for us was retention – being able to re-sign all the people that we wanted to keep. “But we’ve got a guy, Tom McCaffrey, who not many people would know about, who’s from Wodonga, and he’s impressed everyone with how he’s gone about it. The Demons’ Round 1 clash with Box Hill will kick off at 11:40am on Sunday and will be broadcasted live on Channel 7.